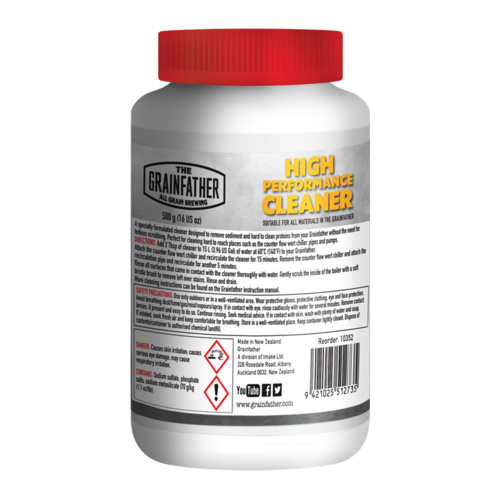 Grainfather High Performance Cleaner is specially formulated to be used with the Grainfather and to be used on both stainless steel and Copper. 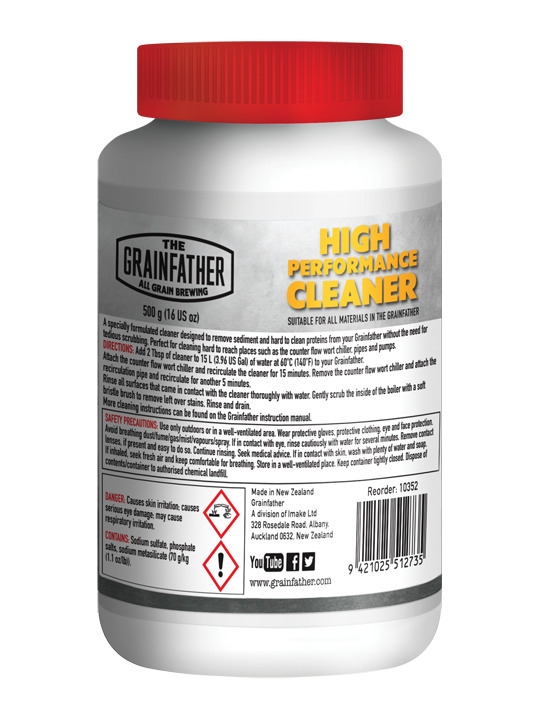 It is important to use the right type of cleaners because during mashing excess proteins produced can scold on hot surfaces and can be a challenge to remove. The job is easy and gentle with this product. It is also does a great job in the counterflow wort chiller and pipes.